For an invigorating body bar that looks after your skin, reach for Dove Men+Care Extra Fresh Body and Face Bar. Looking for a bar that leaves skin feeling refreshed and invigorated? Try Dove Men+Care Extra Fresh Body and Face Bar. 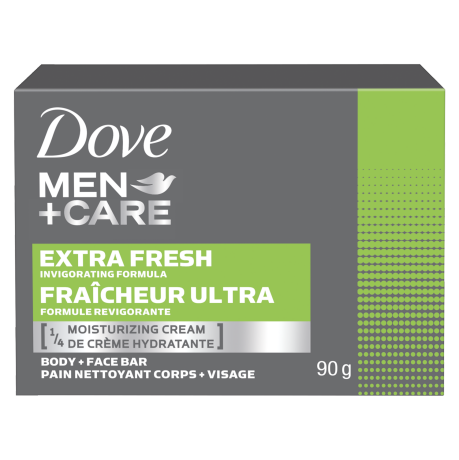 Unlike some regular bar soap for men that can dry out your skin, this Dove Men+Care bar is uniquely formulated with ¼ moisturizing cream, clinically proven to fight skin dryness. 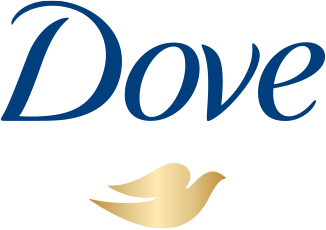 Suitable for use on both the body and face, this Dove Men+Care bar rinses off easily and leaves skin feeling healthy and strong. As well as helping to protect skin from dryness, it’s also dermatologically tested and will help your skin feel soft and smooth. For extra refreshment, moisten the bar with water and rub it in your hands to produce a light foam. Massage over your skin before rinsing thoroughly. For a comfortable, refreshing clean, the light, non-greasy foam rinses away easily and leaves skin with an invigorating scent. Sodium Lauroyl Isethionate, Stearic Acid, Sodium Tallowate or/ou Sodium Palmitate, Sodium Stearate, Aqua, Sodium Isethionate, Lauric Acid, Sodium C14-16 Olefin Sulfonate, Sodium Cocoate or/ou Sodium Palm Kernelate, Parfum, Dipropylene Glycol, Sodium Chloride, Propylene Glycol, Tetrasodium Etidronate, Tetrasodium EDTA, CI 61570, CI 15510, CI 77891.